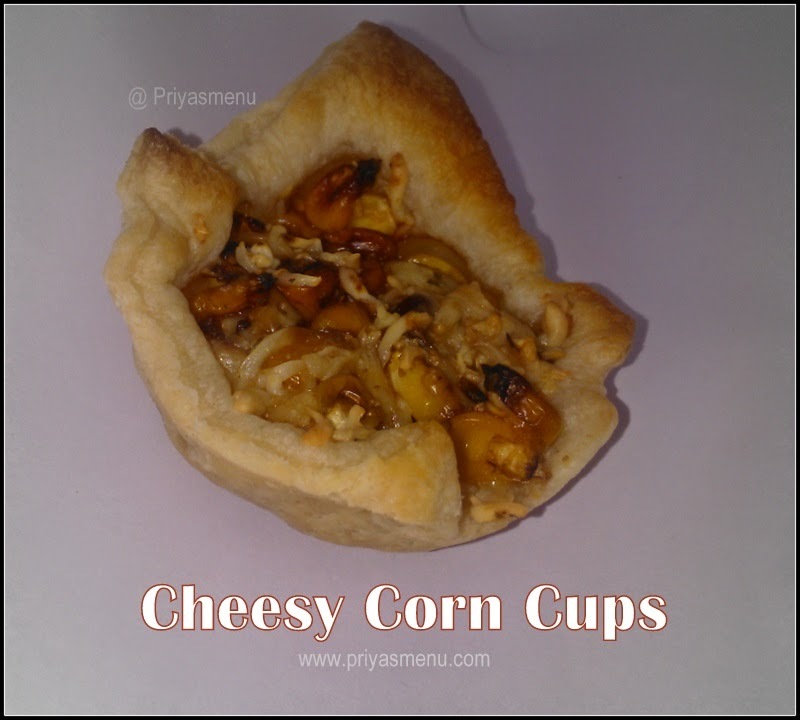 Cheesy Corn Cups, a baked yummy cups filled with cheesy corn and flavored with pizza seasoning can be served as a starter or evening snacks. As this recipe goes to my favorite monthly event "5 ingredients Fix Challenge", I have used only 5 ingredients with CORN as the main key ingredient. 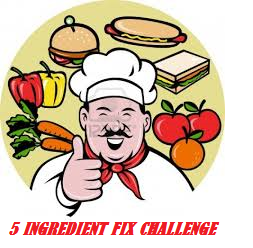 5 Ingredients Fix Challenge is a monthly event hosted by Lakshmi Vimala from Cookingclub17 in which 5 Ingredients were given and an innovative dish should be submitted before end of the month. 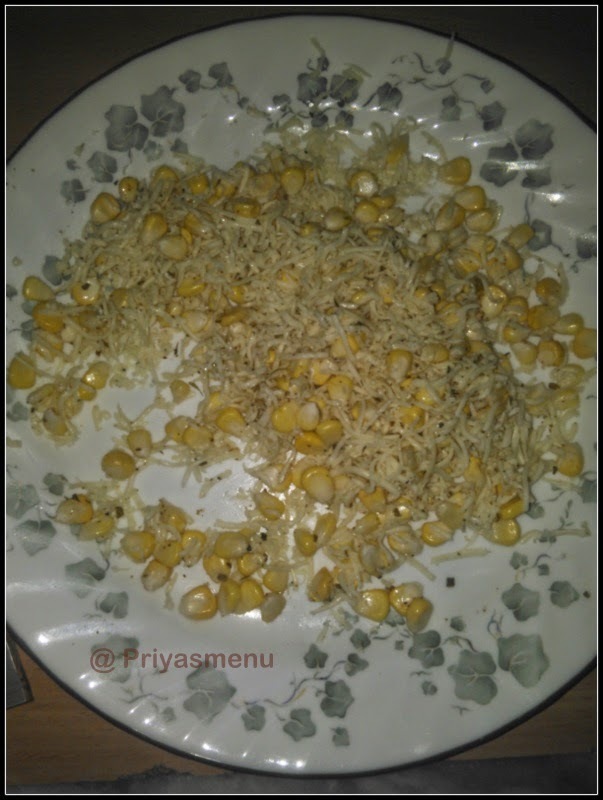 And for October month challenge, the twist of challenge was to prepare a recipe using Corn as the key Ingredient. 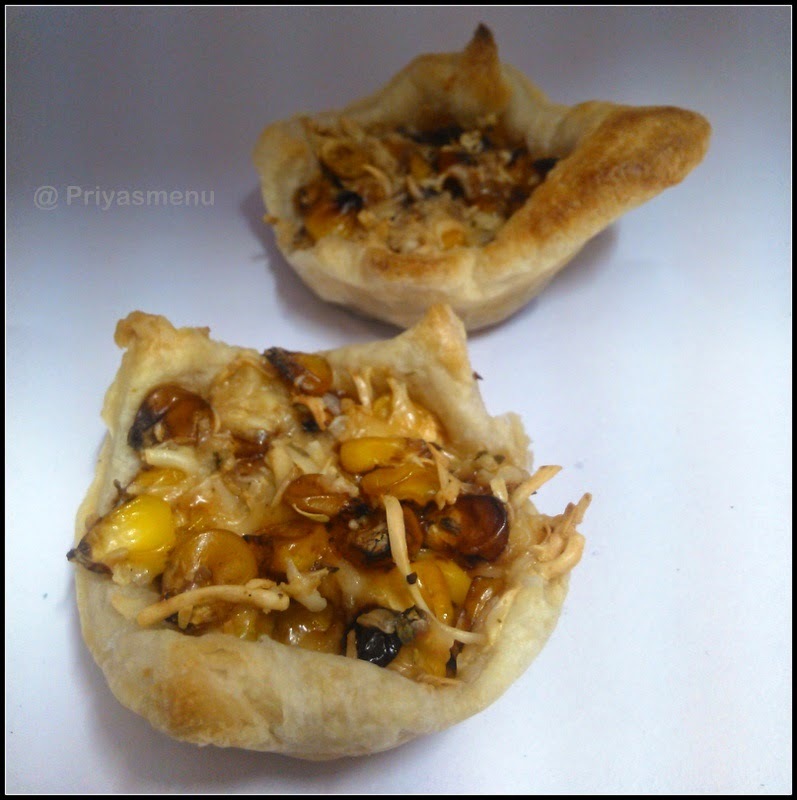 Check out my previous entries which were prepared with 5 Ingredients. Thaw puff sheets according to the instructions given in the box. Grease the muffin tray with little oil or butter. Take one puff sheet and place it in the muffin tray. keep aside. 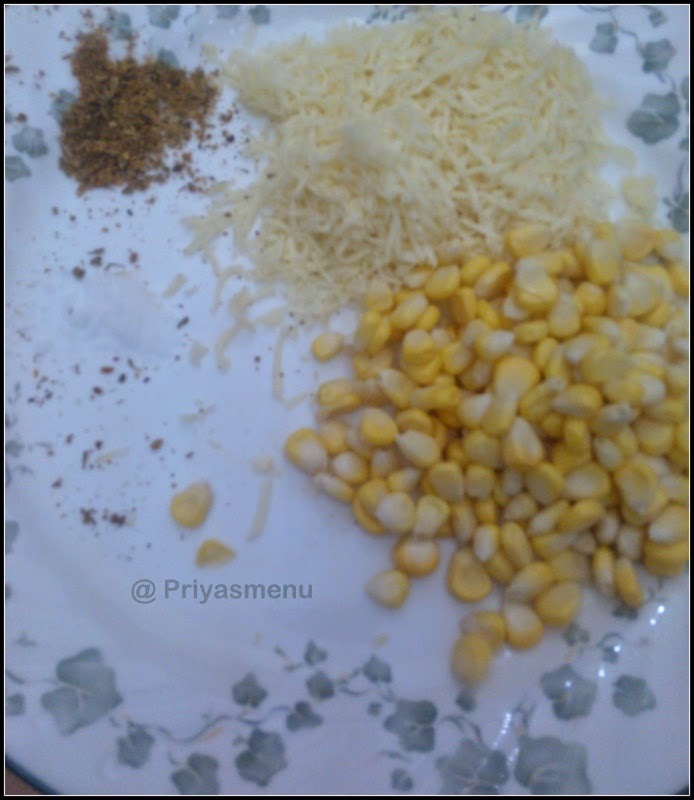 In a small bowl or plate , add grated cheese followed by corn kernels, pizza seasoning and salt. 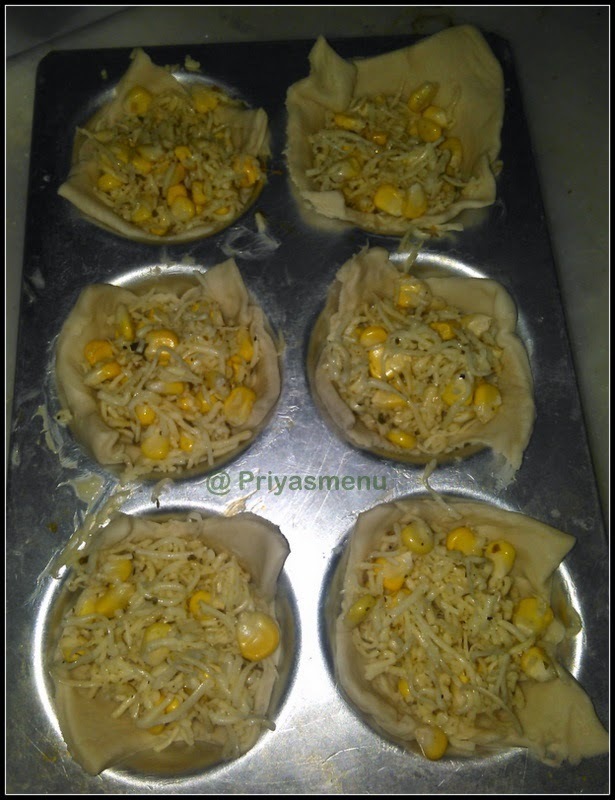 Mix well and fill the puff sheet cups with corn mixture. 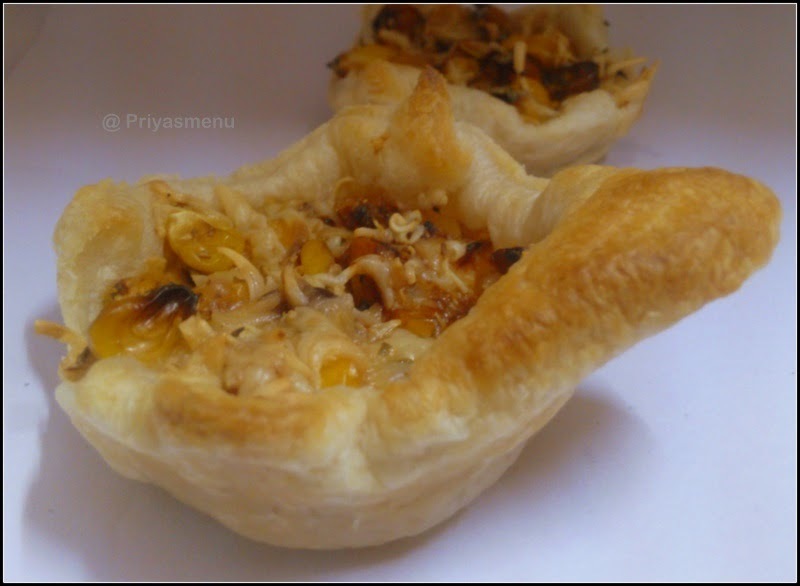 Bake it for 15 minutes at 180 degree Celsius in a pre-heated oven.